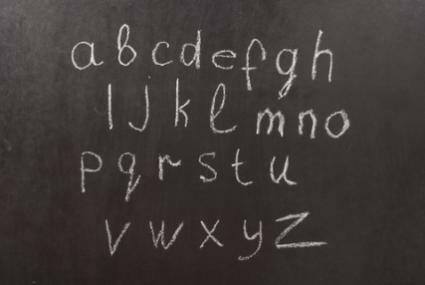 The French alphabet is just one of the main building blocks of the French language. Read on to discover this alphabet, as well as the appropriate pronunciations. There are also several more categories that range from touring and socializing to famous expressions. Loquella, whose slogan is "Learn without Borders", truly embodies this concept with over thirty hours of free listening instruction. This gem of a site allows the user to customize their lessons or to start at the very beginning and follow through the very end of the instruction. While it may take a bit of navigating, once you find the French listening tool, you'll be well on your way! Option 1: This is the default option (it will run automatically if no other option is selected) that provides all the lessons in a pre-assigned order. Option 2: With this option, one can elect to hear the audio portion of the lesson first, and read the sentences after. Option 3: Here, one can read the English sentence first and hear and view the foreign language section second. Option 4: The final option allows the user to hear the audio and foreign language sentence first, and view the English translation second. Speak 7 is another online too that can help to improve a student's pronunciation of the alphabet. Here, the site walks the user through the alphabet, but reach letter contains a tip. For example, next to the letter "A" is the tip: A as in the word "ask" and never as in the world "able". These tips are especially helpful for understanding whether a long vowel sound or a short vowel sound is appropriate. Children usually love learning different languages, and because they are still young, their brains are pre-wired to "soak up" as much new information as possible. Some research even suggests that knowing more than one language can actually help one improve their verbal and written skills in their native language. With so many advantages, is it any wonder that parents encourage their children to learn other languages? While it's true that some children love learning, all children have the capacity to become bored and this can instantly squash their progress. To combat this boredom, consider the trusty old flashcard to keep their interest piqued. Flashcards, whether words, or pictures, have long been used in classrooms around the world. A great learning technique, these cards often contain words, numbers or pictures, and because they are fun, they are usually easy to memorize. French flashcards work in a similar manner. For example, a card may contain the drawing of a car. Under that car, reads the French translation for that object voiture. In this manner, learning and speaking French will quickly become second nature to most youngsters!